Ancestry (www.ancestry.co.uk) has added a new dataset, the UK, Military Indexes, 1920-1971 collection. 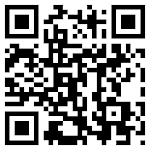 It can be accessed at http://search.ancestry.co.uk/search/db.aspx?dbid=61448. The source for the collection is very vaguely described as "Contains public sector information licensed under the Open Government Licence v3.0", but appears to be from the National Archives in England. 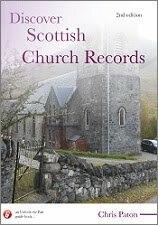 For details on my genealogy guide books, including A Beginner's Guide to British and Irish Genealogy, A Decade of Irish Centenaries: Researching Ireland 1912-1923, Discover Scottish Church Records (2nd edition), Discover Irish Land Records and Down and Out in Scotland: Researching Ancestral Crisis, please visit http://britishgenes.blogspot.co.uk/p/my-books.html. So far as I can see, based on Claire Santry's estimate of the size (371k records), the basis for this is a set of spreadsheets released in Dec 2014 by the MoD that purport to index all post-1920 soldiers with a DoB before 1901 (as you say). The originals were released under FoI (ref. HOCS FOI2014/06919) on www.gov.uk. I say purport because the columns went a bit wonky in a couple of places when I downloaded them a while ago. The one extra bit is that something called "Account" appears to have been translated into something labelled "Rank", which isn't, but is something like a collection, e.g. "Army Other Ranks, Discharges for 1921-1939". The source is as brucefuimus has said the spreadsheets produced in response to my 2014 Freedom of Information request. I hope that MoD now get on with making some of the post 1920 service records more easily available. The MoD held a consultation last year on how to make this happen, see http://britishgenes.blogspot.co.uk/2016/02/ .